In the words of the Ghana Districts ; “the Ada people are fishery and agricultural Dangme-speaking people that forms a subset of the larger Ga-Dangme ethno-linguistic group living in the southern Ghana.” But historically, the composition of Ada ethnicity might go beyond Ga-Adngbe culture and traditions. According to the report, the Ada people were made up of the four original Dangme clans: the Adibiawe, Lomobiawe, Dangmebiawe, and Tekperbiawe. “These clans, the Okorli, integrated one Akan clan- the Kabiawe and incorporated three Ewe clans: the Kudragbe, Korgbor and Ohuewem. The Ada later on adopted 9 additional Ewe villages, Agave, Sukpe, Tefle, Vume, Blakpa, Mlefi, Mepe, Battor, and Duffor, to form the Ada Nation. Ada-Foah is the district capital of Ada people. Some of the other notable towns are Kasseh, Akplabanya, Sege Junction, Anyamam, Pute, Lolonya, Tamatoku, Bonikope, Songor, Adzomanukope, Bedeku, Wokume Gbe, Songutsokpa, Big-Ada, Got, Koluedor ,Totimekope, Ocanse Kope, Totope, Kasseh, Matsekope.” So; as the peoples of Ada begin their annual festival- Asafotufiame in August, both the familiar and the foreign will be witnessing not only the culture and traditions rooted in Ga-Adangbe but also, the beauty in diversity- showcasing colourful historical clues as to how Ada/Oda, got its current name. Geographically, Ada lies in the Dangme East District, off the Eastern part of Greater Accra Region and within Latitudes 5°45 South and 6°00 North and from Longitude 0°20 West to 0°35 East. It shares common boundaries with North Tongu District to the North, South Tongu District and Dangme West Districts to the East and West respectively. To the south is the Gulf of Guinea, which stretches over 45 kilometers (27.9 miles) from Kewunor to Wokumagbe. The territory covers a total land area of 909 sq km (350 sq miles) and represents about 28% of the total land size of the Greater Accra Region. Being a coastal district, most people along the coast have taken to fishing and fish processing as their main source of livelihood. Also, the sea has a cooling effect on the people especially during hot seasons but the corrosive nature of the breeze is very destructive . 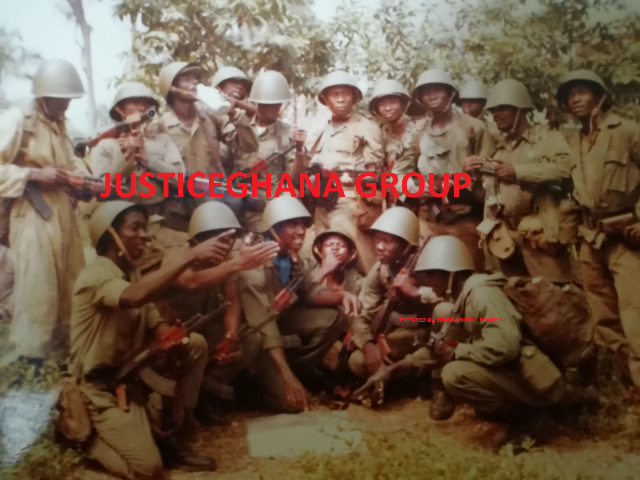 “The Akyem conquest of Akwamu in 1730 was one of the most decisive victories in Gold Coast history. The event was described by contemporaries as the greatest revolutions that had taken place in that part of the world since the Akwamu themselves destroyed the old Ga Kingdom in the late seventeenth century.” [ibid] With this, it might be persuasive to conclude that contemporary Ada and its traditional capital- Ada Foah; are the brainchild of King Frempong Manso, whose ancestors, are said to be the architects of the foundation of most Asante-Akyem towns- such as as: Bomfa, Agogo-Hwediem and Dampon, all in the Asante kingdom. Like Akyem Abuakwa and Akyem Bosome, Kotoku, deemed to have been existence since 1500 A.D, traces its roots to Adanse and as one of the military wings of Denkyira Empire, which the emerging Asante, defeated in the 1700s. But in his article: “Trip Down Memory Lane- Ada People: The Traditionalist Dangbe People and their Unique Asafotufiami Festival”, E.A. 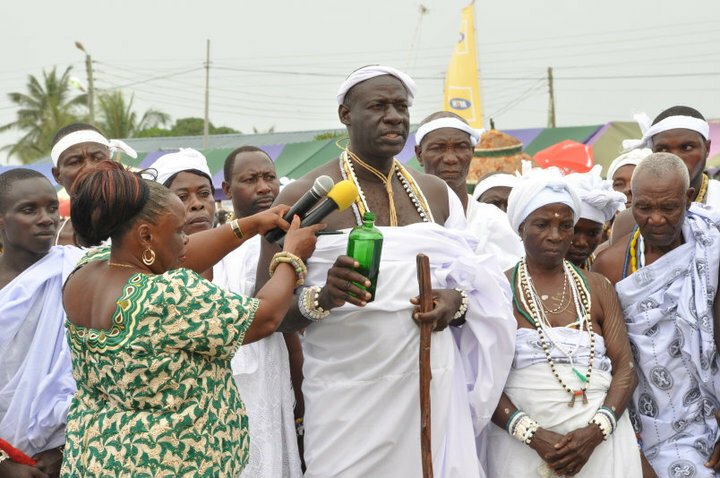 Kabutey attributes an explanation to C.M.K.Mamattah, also given by Ghana Districts, as follows: “it was at Notsie, where the proto-Ga-Dangme had joined the Ewe, that “King Agorkoli appellated the Adas as ‘Adawolawo’- meaning, a wild, furious, brave and warlike people who are easily provoked”. 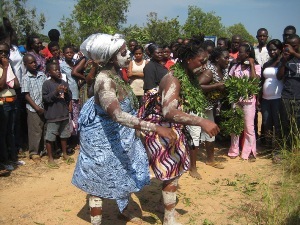 Kabutey also describes a tradition which assigns the name to a later period, after the people had crossed the Volta and were attempting to settle further south. According to this account, the Okorli- which was the name by which they were called at the time, were repeatedly attacked by the Akwamu, but eventually defeated them at Akplaba .